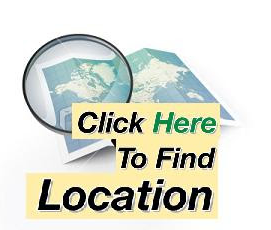 So what is the easiest way to find the email sender location? We are sure that sometime you want to know the person behind the email address. This is a very important tips and skills for students as well as for all of us. Many people out there are puzzled with unknown emails in their inbox and many are clueless whether it is worth replying it as many are aware of spam and unsecured email sent by anonymous. So how to find the person behind an email address? There are some easy tricks how to do it. The best way is to find out who is behind the email address. To find out, you need to spend some time to do some research about the sender and before you really feel secure to reply the email. If you feel doing research is waste of time than just scrap the idea. Location of the sender can be detected by opening the header of a message form the email, and search for “Received: from” followed by an IP address in a bracket. Use the last entry IP address if there are many entries. The location of the email sender can be retrieve when you paste the IP address in the trace route tool. Facebook can be a good tool for a reverse email search. This is because Facebook has billion users and the probability is higher compared to linkedln and other social networks. Facebook makes your life very much easier as they allow you to search users by email address. All you have to do is paste the email address of a person at the search box and immediately Facebook will tell you whether the existing email address exist and will link you to the profile if it matches. Once you get their profile page copy their profile picture and upload into the google images by clicking the camera icon in the search button. This will allow you to locate their other social profile with the same images. This is called reverse image search engine. Other Social Networks like Knowem will also help in giving fast information to determine if the username exist with the profile and particular that you have. For an example if the email address of the sender is green_peas@hotmail.com, there is high chances that the person uses the same alias ‘green_peas” in other social network. You can use that name and type it in knowem.com to get the confirmation. Rapportive add-on can be installed by gmail users and find profiles which matches the email address in Twitter and Linkedln profiles. Beside all that above you also can use people search engines such as Pipl and Spokeo. You can reverse email search in this both engines. The only thing is Spokeo has more detailed and comprehensive database than Pipl. Spoke also has the facility to scan social networks, domain information names to associate with the email address. However some of the services is only for subscribe members. As a conclusion its all depends on you whether you want to spend extra time in researching n the sender before replying or you just want to ignore the said email. its all in your hand but as a precaution steps do not reply to a anonymous sender as you will not know its coming form a genuine sender or people with hidden agenda. Be cautious in deciding.